Current UFC women’s bantamweight and featherweight champion Amanda Nunes took to Twitter on Wednesday to share some news, although what will come of that news is not yet known. In a response to Cris Cyborg who called for a rematch with Nunes for the featherweight title at UFC 237 in Brazil, Nunes said she was done fighting at 145 pounds (featherweight). Nunes initially responded with an apology to Cyborg, saying that her goal was to become a double champ and then suggested that the former champion should face Kayla Harrison who is currently fighting in the Professional Fighters League. 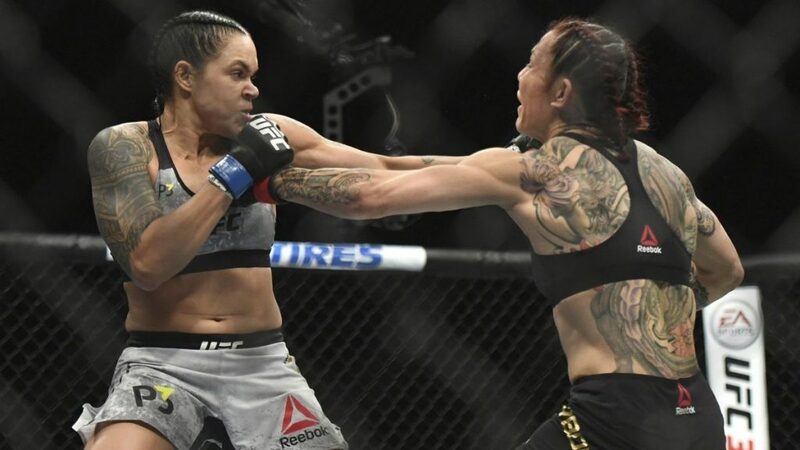 Nunes defeated Cyborg by first-round knockout at UFC 232 to become the first ever women’s two-weight world champion in the UFC. The women’s featherweight division has had a lack of serious competitors in the division, part of which comes in the lack of attention that has been placed in getting the division filled with active fighters and interesting fights. After making it known that she is likely done with featherweight, Amanda Nunes would go on to call former champion Holly Holm as the likely next challenge for her bantamweight title. Since she became the bantamweight champion in a win over Miesha Tate, Nunes has defeated Ronda Rousey, Valentina Shevchenko, Raquel Pennington, and Cyborg at featherweight. 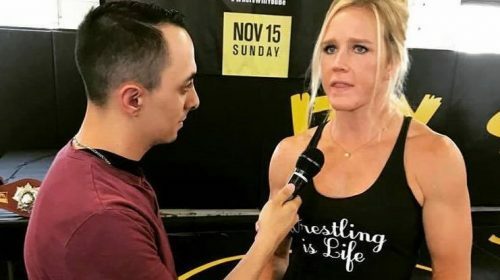 Holly Holm is one of the few contenders who has yet to challenge Nunes for her title and the current champion sounds willing to welcome the challenge. Holly would definitely be a great fight to defend my belt at 135. Megan Anderson, former Invicta FC featherweight champion doesn’t seem ready to let Nunes just leave the division and took offense to the champion’s comments about the UFC women’s featherweight division. If Nunes is ready to vacate the featherweight title, Anderson said she’s ready to fight Cyborg for the vacant featherweight championship. We all know this division doesn’t exist. As Nunes pointed out that the women’s featherweight division isn’t listed on the rankings section of the UFC website, Anderson fired back to challenge the validity of Nunes’ title. The double-champ would go on to respond that she defeated the most dominant female in MMA history. As the social media battle continued between the two, Nunes would go as far as to say that the featherweight division was only made for the arrival of Cyborg and that the UFC didn’t believe in any featherweights which is why they had women from the bantamweight division to jump up and face her during her title reign. The division was for Cristiane, and was entertained by talented 135ers. They didn’t even believe in any 145ers. While it’s not certain that Nunes is absolutely done with the featherweight division, it sounds as if she doesn’t believe in the credibility of the division and potential challengers. To find out more about placing bets on MMA, visit US-Bookies.com. Currently a writer for MyMMANews and Combat Press, Joining the sport of mixed martial arts later than most, Mike enjoys talking to local fighters in the Chicagoland area, but also telling fight stories from all aspects.